Thank you for your message. It has been sent. We will contact you within 24 hours. What does Tranquil Home charge? For regular maintenance cleanings we charge $38 per hour/per person, and full deep cleanings we charge $45 per hour/per person. Please note that if you only need 1-2 deep cleaning items we do not charge you the full deep cleaning rate. When and How do I pay for my service? Payment is due and payable at the end of the service provided. Cash, check, debit or credit cards are accepted. Please make checks payable to Tranquil Home Personnel Service. Please call our office prior to the service if paying by debit or credit card. We accept Visa, MasterCard, American Express or Discover. Yes, if your cancellation falls within 24 hours of the cleaning we have a $25 fee. If you cancel outside of 24 hours of your appointment there is no fee. What types of cleanings does Tranquil Home offer? Tranquil Home offers regular maintenance cleanings, Deep Cleanings, Vacancy Cleanings, Post Construction Cleanings, Before and After Party Cleanings, and Vacation Rental Cleanings. 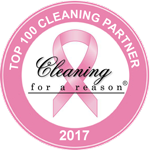 What does a Deep Cleaning include? A Deep Cleaning includes all of the basics and includes baseboards, blinds, window sills, window tracks, a spot cleaning of the inside of the window, light fixtures, inside fridge/freezer, inside oven, and insides of cabinets and drawers. Do I need to be home while the cleaning is going on? It is entirely up to you if you would like to be home. For first time cleanings our referred cleaners like to do a walk through with you at the end of the service to make sure you are happy with everything. What cleaning items does Tranquil Home not do? Tranquil Home’s referred cleaners do not do large areas of grout, full windows/screens and outsides of windows, or steam clean carpets. For large areas of grout we recommend calling a company that uses high pressure steamers/commercial equipment. We can refer a window cleaner for you, just note that this is a separate service and separate pricing, our housekeepers do not clean the windows themselves. Do you have a time minimum or maximum? Tranquil Home has a 3 hour minimum, if you do not feel that your home warrants 3 hours, our cleaners are happy to do some deep cleaning items to fill this time. Please note that for all jobs under 4.5 hours, a single cleaner is sent. For jobs over 4.5 hours, typically a team of two is sent.